Late autumn colour in the woodland around Loughrigg Tarn in the Lake District. High resolution image, this means no loss of detail on very large prints. This is a black and white image with a touch of green. This gives a dramatic look to the picture. 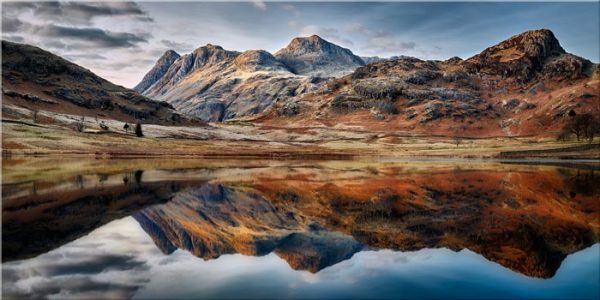 Photo Location: Loughrigg Tarn, Lake District.